What's New: This edition is updated throughout, with special attention to the impacts of Donald Trump in the U.S., Tayyip Erdoğan in Turkey, the refugee crisis, fascism and nativism, "fake news," and Brexit. Plus, this new edition is now available as an audio book! 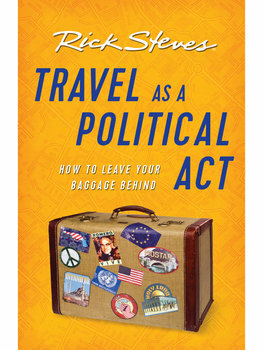 Travel as a Political Act starts with the premise that we can't begin to understand the world without experiencing it. Travel connects people to people, it helps us fit more productively into a shrinking world, and it inspires creative new solutions to persistent problems. Through his own experiences, Rick explains how anyone can travel more thoughtfully — anywhere. And he shares a series of his field reports from Europe, Central America, and the Holy Land to show how travel has shaped his politics and broadened his perspective. Rick donates all royalties from the sale of this book to Bread for the World, a nonprofit advocacy organization dedicated to ending hunger. It's good for you! Americans who approach travel thoughtfully — as a political act — can have the time of their lives and come home with a better understanding of the interconnectedness of today's world and just how our nation fits in. The Society of American Travel Writers named the first edition of this book "Travel Book of the Year" in 2010.